A big topic surrounding the NBA lately has been rest. 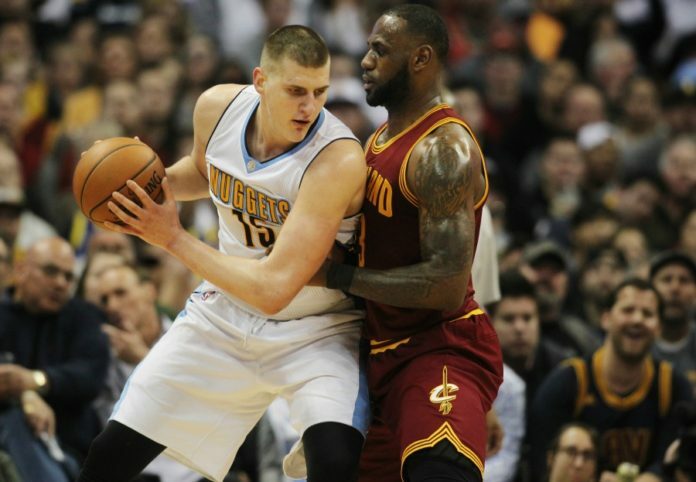 The criticism is usually directed towards the elite teams in the league such as the Cleveland Cavaliers and Golden St. Warriors; however, every team rests players, including the Denver Nuggets. Danilo Gallinari had been nursing a variety of injuries all season long. The official reason Gallinari missed the final two games of the season was listed as rest. 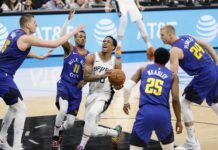 The awful Brooklyn Nets even rested six of their players in their final game, which had playoff implications. There are really arguments to support both sides of the rest argument. I can see the reasons why some people have a problem with it, and I can see the reasons why teams feel it is necessary. The league, networks, advertisers and fans have a big issue with players resting. The league is profitable in large part due to the advertisers, who play large amounts of money to the networks. The networks pay a large price to the league to broadcast the games. This system does not work efficiently when a network promotes a high profile matchup for a week and star players sit out to rest. The fans do not like players resting for good reason as well. People pay good money and take time in order to see the league’s best players. The best player in the NBA, LeBron James missed a total of eight games this year. If this keeps up, fans are going to begin giving up on regular season basketball. With that said, players and coaches are not wrong wanting to rest their players. The NBA regular season schedule is brutal, with insanely long road trips and back-to-backs. Given how long the postseason is in the NBA, it is hard to blame teams for resting their players. The fact of the matter is if teams are comfortable where they are in the standings, they should be able to play the game however they choose to. They have earned the right. Many people right now are calling for a change in the NBA schedule to solve this problem. Perhaps stretch out the regular season over a longer period of time in order to limit back-to-backs. I have even heard people calling for a shortened regular season schedule that would start the season on Christmas. The resting issue in the NBA is not about scheduling or logistics. It is about the NBA having a serious marketing problem. The league does so many things well to put itself in a favorable light. Also, Adam Silver seems to be the most respected commissioner in sports. The NBA has to change its marketing approach. Going back to one of my first points, Gallinari missed the final two games of the season because of rest. How many people out there actually care about him taking the final two games off? 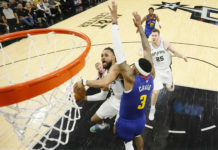 As a whole, people only care about Cleveland, Golden State, and perhaps the San Antonio Spurs resting players other than teams involved in playoff implications. There is a lot more to the NBA than just the Cavaliers and Warriors. There are a lot more players out there to admire than just James or Stephen Curry. The quicker the NBA gets, the better off everyone will be. 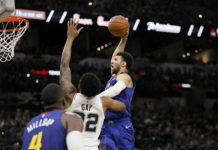 When it comes to primetime matchups, the league puts all of its eggs in one basket, relying on Cleveland, Golden St. and San Antonio to play all of their stars. When you are trying to seriously market just a few teams, bad things are likely to happen from time to time, such as one team resting their stars. The NBA needs to take a long look at other stars in the league besides the obvious ones. The league did a decent job promoting Russell Westbrook and James Harden since the two have been battling for the MVP award. I’m talking about the NBA promoting players like Nikola Jokic, Giannis Antetokounmpo, Damian Lillard and even Joel Embiid when healthy. All of these players have a unique skillset; something many do not know about because they are not promoted. If the NBA marketed these players more, I do not think rest would be such an issue. The NBA is so set in its ways its unlikely to change. Instead of promoting all 30 clubs and/or focusing on teams instead of individuals, they place the spotlight on large markets and proven superstars. That may be an efficient way to do things, but it is slowly killing the league. There is such a bright spotlight on just a handful of NBA teams that the fans and national media do not care about the other 25 teams. Well, they should because there are a lot of good young teams with great talent, like the Nuggets and Jokic. It is time for the NBA to stop thinking about the schedule and logistics and focus on the real problem which is marketing. The league is only going to slowly die if all you do is promote established superstars and ignore what is coming up on the horizon. If every fan got to understand all 30 teams in the league, we all would not be so consumed with elite teams resting their players.